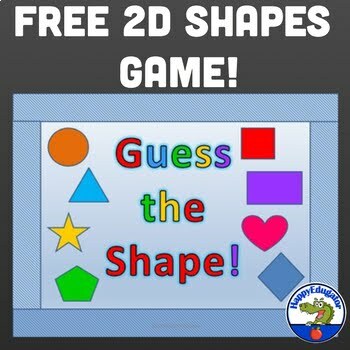 FREE 2D Shapes - Guess the Shape PowerPoint. Read the clues out loud, then guess the shape. 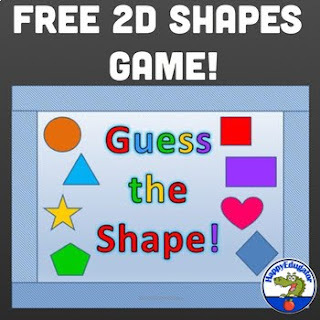 The 2D shape will appear after all clues have been given and then click to see if you were right! 8 basic shapes: triangle, square, rectangle, diamond, heart, star, circle, and pentagon. Interactive PowerPoint for early learning. Updated 2019. Enjoy! • Please give a helpful rating and leave a short comment for the product.